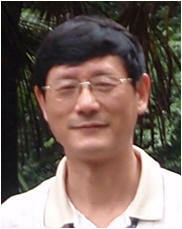 Professor Tu earned his Master Degree from Graduate School of Shanghai Medical University (now merged into Fudan University) in 1991. Now he is a chief physician of both dermatology and rheumatology, and Chief of Scleroderma Section in Shanghai Traditional Chinese Medicine(TCM)-integrated Hospital and a master advisor of Shanghai University of TCM. In addition, he assumes the offices of Director of Branch Committee of Rheumatology of China Association of Chinese Medicine, and Member of Rheumatology Division of China Association of Chinese Medicine and Rheumatology Branch of Shanghai Association of Traditional Chinese Medicine. He is skilled at diagnosis and treatment of connective tissue diseases, especially Scleroderma, with the methods of TCM integrated with western medicine.